It’s a place to find information on groups and organizations, events, opportunities for involvement, and news and issues relevant to women in Denver. It’s also a point of view—a framework for women to see themselves as a force for change and positive action in the community. Our mission is to make a contribution to the women of Denver, as individuals and as a community, by operating as a trusted resource, serving as a catalyst for action and involvement in the community, and pushing the Denver community to better serve women. Virginia Santy, Ph.D., is founder and editor in chief at The Broadview Denver. She also owns Executive Suite Communication, a strategic communication firm, and is co-founder of Women in Kind (WinK), a coworking space for women. Virginia came to Colorado in 2005 to get her Ph.D. from CU-Boulder, and fell in love with the state and its spirit. In her spare time, she can be found patroning the many badass women-owned businesses of Denver with her warrior-hearted daughter, Keaton. Brooke has over 20 years of experience in event planning and logistics. In her current role, she plans arts and cultural events for the City and County of Denver, including Denver’s popular Five Points Jazz Fest A transplant from Wisconsin, Brooke has lived in Denver since 1996. She loves the sunshine, the mountains, the great restaurants, and the live music scene in Denver. Although she misses fishing in Wisconsin lakes. Brooke is a voracious reader with a passion for increasing Denver's youth literacy rates. She is a recent addition to the board of Lighthouse Writer’s Workshop. Brooke is also a fitness lover, ice cream connoisseur, and runner-after’er of two boys, Reese, age 6, and Hank, age 4. Bri is the social media director for The Broadview Denver. Sh grew up in Denver and is committed to helping women and girls succeed here. She gave disadvantaged kids a head start in school as an early childhood educator in Aurora Public Schools and currently empowers women, and particularly moms, to find the motivation and time to create individualized exercise and diet routines tailored to fit active and busy lives. Co-chair of the Remembrance Committee for the Denver Chapter of the March of Dimes and a “parent tutor” in grief counseling sessions held by Colorado Pregnancy and Newborn Loss Services, Bri dedicates much of her time to helping families who have suffered a loss. Above all, she is passionate about working with young girls in Denver and helping them become confident leaders. Sydney--lover of travel, hiking, yoga, and matcha lattes--is a strategist and thought leader in the influencer marketing space, researching social media trends and helping brands tell their stories through influencers. She previously worked as an Organizer on local and national political campaigns, focusing on outreach to women and students while planning events across Colorado. She has an MBA from the University of Denver and spent a year living in Paris as a student at Sciences Po. The youngest (and arguably hippest) member of the Broadview Denver’s editorial team, she hopes to bring a fun, fresh perspective and inspire women to be engaged in the community. Jessica is the President of Transworld Business Advisors of Denver, a brokerage firm, and MOD Assistants, a woman-owned company providing administrative services. She leads both organizations in strategic planning and growth initiatives, which she has used to develop and sell companies in Florida and Colorado. Jessica is committed to giving back to her community and believes Denver will emerge as one of the largest business centers in the country. In support of this, Jessica participates in the Denver community through involvement in Junior Achievement and the Denver Metro Chamber. Outside of work Jessica has a passion for the outdoors and photography. @m_c_mueller Molly is the creative director for he Broadview Denver and the senior designer for The Climate Reality Project. Hailing from San Francisco and now based in Boulder, she has a master's in nonprofit administration but found her true calling in design through stints at Mother Jones and The Asia Foundation. She recently landed in Colorado with her husband who is pursuing a Ph.D. in Electrical Engineering and their cat Nina who is pursuing a life of leisure. After a successful 20 years as a broadcast journalist in Denver, Kyle now refers to herself as a generative journalist: she generates news to build community. 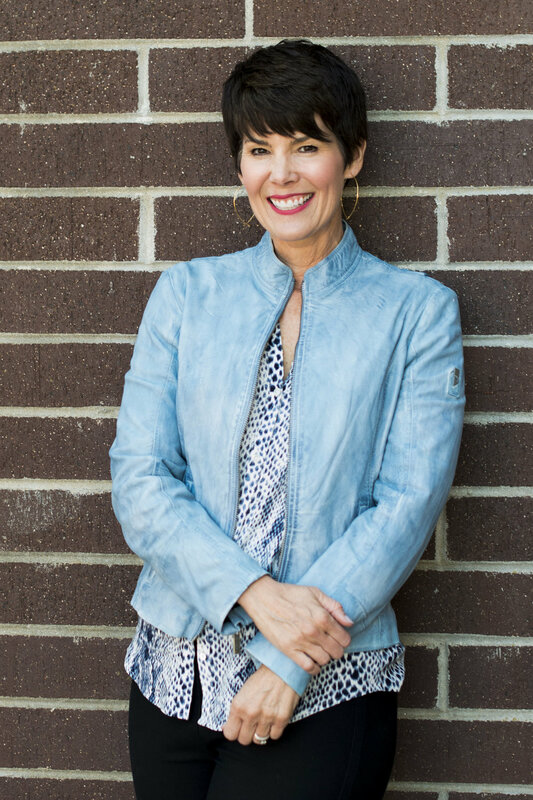 Through her business, Kyle Dyer Storytelling, Kyle partners with local businesses and individuals, groups and foundations to share the stories about their profound programs as well as "the why" as a way to spread outreach and awareness. Kyle brings her expertise in journalism and storytelling--as well as her love for the city--to the Broadview Denver editorial board. Lisa has worked in the field of higher education and sexual assault response and prevention for thirteen years. She is a freelance writer, communication and evaluation consultant, and a triathlon/run coach. She also teaches at DU’s Graduate School of Social Work. Originally from London, England, she moved to Colorado in 2003 to pursue a Master’s degree. Initially believing Colorado would be a short term stop on her journey, she has been here ever since. After establishing two college campus interpersonal violence victim advocacy centers, she received her PhD in Communication Studies from the University of Denver. She recently launched her writing, coaching, and consulting business. Lisa is committed to breaking down social and cultural barriers that continue to inhibit women’s success, whether in the classroom, in work, or in sport.